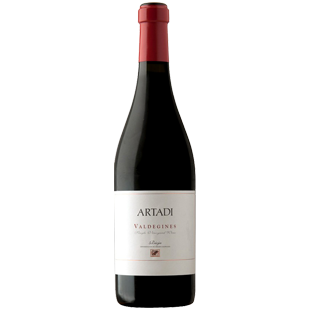 A wine with a well-defined and structured backbone that contains angular shapes which denote power. It presents itself with cautious speech in a submissive way when first entering the mouth, and the strength of its blended tannins and its powerful balance are appreciable in the mid-palate. Clay-limestone soils lightly compacted. We distinguish vineyards in slope with soils which are shallow and set on soft sandstone rock and the vineyards on terrace set on deeper and fresher soils.